In Aramar suministros para el vidrio always work to offer the latest trends and the best of the market at the most competitive price so that our customers have the opportunity to find in our product offer always the latest. For this reason, today we are going to talk about shower rods ideal accessories for shower rooms the latest trend in bathrooms. The function of this product is to hold the glass in a strong and secure way to the wall of the shower. While it is true, you will find a wide variety of these products in our catalog, where each has different characteristics and features, made with high quality materials to prevent corrosion and rust over time, but today we want to make you arrive the new accessories for reinforcing bars Zamak material available from now among our product portfolio. 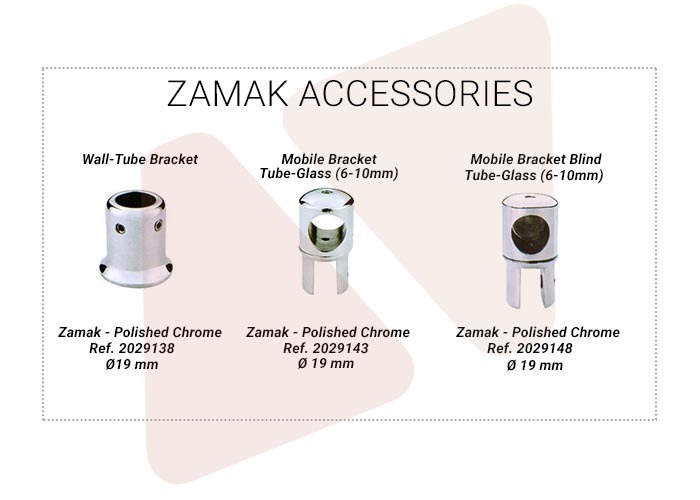 The Zamak material is a resistant, easy-to-clean material that provides greater safety and rigidity to your shower enclosure and we have different accessories available for this material to create reinforcing bars according to the customer’s needs. We take this opportunity to remind you that only during this month, you will be able to find the Bergen shower rooms of the Spanish hardware brand Hegox on offer, using the promotional code when placing your order. Ask us! If you have any questions about these products do not hesitate and ask. We will be pleased to assist you either by phone or via email.